Anyway, this issue continues to explore the darkest corners of human nature, including incestuous thoughts that Sabrina’s resurrected father entertains. But for me what makes this issue, and the series as a whole, most interesting is the incorporation of mythology and occult philosophy. The installment ends on a dark and foreboding note. Sabrina’s cousin, Ambrose, reminds her of a basic tenet in the mystical arts, that every act has its consequence and the cost of the act must always be paid in full. Everything we do has a consequence, and this should be remembered at all times when we deal with others in the world. Nothing that we do is free from impunity. This is a natural law from which there is no avoidance. This is a tale that is terrifying and disturbing on various levels. It has insanity, cannibalism, inbreeding, and psychological terror, all cast against a dire setting that includes a decrepit mansion in the Catskill Mountains. There is also some dark symbolism woven into the story that adds another level to the horror evoked by this piece. Rather than summarizing the story, though, I am just going to point out some of the symbolism. Shadows appear frequently throughout this tale, and my interpretation is Jungian, that the shadows which the protagonist sees are the dark, shadow aspect of his own psyche. As I shivered and brooded on the casting of that brain-blasting shadow, I knew that I had at last pried out one of earth’s supreme horrors—one of those nameless blights of outer voids whose faint daemon scratching we sometimes hear on the farthest rim of space, yet from which our own finite vision has given us merciful immunity. The shadow I had seen, I hardly dared to analyse or identify. As I mentioned, inbreeding is a theme in this story. The inbreeding is symbolized by tree roots, particularly in the graveyard, where the roots connect the present to the dead ancestors. The scene of my excavations would alone have been enough to unnerve any ordinary man. Baleful primal trees of unholy size, age, and grotesqueness leered above me like the pillars of some hellish Druidic temple; muffling the thunder, hushing the clawing wind, and admitting but little rain. Beyond the scarred trunks in the background, illumined by faint flashes of filtered lightning, rose the damp ivied stones of the deserted mansion, while somewhat nearer was the abandoned Dutch garden whose walks and beds were polluted by a white, fungous, foetid, over-nourished vegetation that never saw full daylight. And nearest of all was the graveyard, where deformed trees tossed insane branches as their roots displaced unhallowed slabs and sucked venom from what lay below. Now and then, beneath the brown pall of leaves that rotted and festered in the antediluvian forest darkness, I could trace the sinister outlines of some of those low mounds which characterized the lightning-pierced region. The mansion also figures prominently in this story and is the scene of much of what occurs. The house represents psychological decay, where reason gives way to insanity, the result of inbreeding among the previous inhabitants of the house. There were no skeletons about, so that departure rather than death was inferred. The clan seemed to have left several years before, and improvised penthouses showed how numerous it had grown prior to its migration. Its cultural level had fallen very low, as proved by decaying furniture and scattered silverware which must have been long abandoned when its owners left. But though the dreaded Martenses were gone, the fear of the haunted house continued; and grew very acute when new and strange stories arose among the mountain decadents. There it stood; deserted, feared, and linked with the vengeful ghost of Jan Martense. There it still stood on the night I dug in Jan Martense’s grave. Finally, there is a great scene where the protagonist discovers tunnels beneath a grave, into which he enters and crawls, in search of the daemon. This is symbolic of the protagonist entering into the subconscious mind, burrowing deep into his primordial psyche to the place of his most base animal instincts. What language can describe the spectacle of a man lost in infinitely abysmal earth; pawing, twisting, wheezing; scrambling madly through sunken -convolutions of immemorial blackness without an idea of time, safety, direction, or definite object? There is something hideous in it, but that is what I did. I did it for so long that life faded to a far memory, and I became one with the moles and grubs of nighted depths. Indeed, it was only by accident that after interminable writhings I jarred my forgotten electric lamp alight, so that it shone eerily along the burrow of caked loam that stretched and curved ahead. 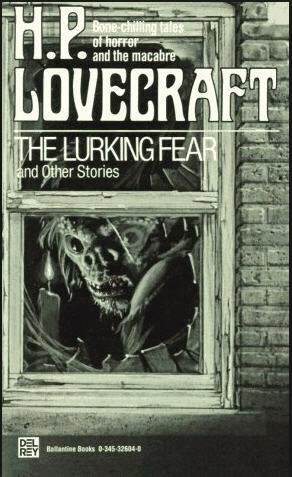 Lovecraft’s genius is that he was able to craft truly scary stories and weave in complex psychological symbolism. 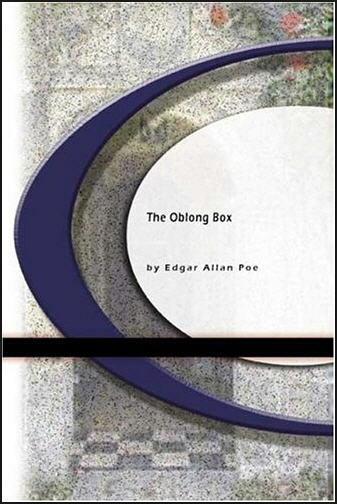 This is a great example of his literary prowess and definitely worthy of reading on a dark, October night. First off, I want to say that this book is outstanding. If you have not read it, then you must add it to your list. It works on so many levels. I am only going to be able to scratch the surface of this book’s depth. There is a lot of deep symbolism woven into this beautifully vivid and well-written piece of literature. The basic premise of the book is that an envoy named Genly Ai visits an inhabited planet to inquire whether they are open to joining an interplanetary alliance whose goal is to share culture and ideas, thereby advancing the various civilizations. The planet Gethen, which Ai is visiting, is populated by beings who are bi-gender and take on a dominant gender when time comes to mate. Le Guin uses the ambisexual Gethenians as a Jungian symbol for unified persons. They symbolize a balance between the anima and the animus. And while they recognize the existence of duality, they have an innate sense of oneness. 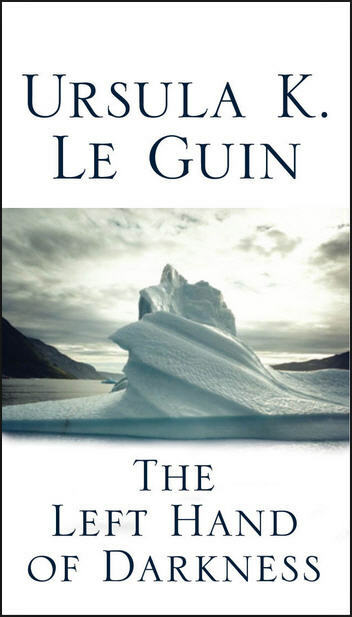 Le Guin expands on the concept of opposites combined into a balanced whole, employing symbols of light and darkness, of fire and ice, of life and death, to represent the importance of a balanced duality to maintain a spiritual whole. Throughout the book, the symbol that kept coming to mind for me was the yin and yang. As I was to discover later on in the book, this was intentional on the part of the writer. As I said at the beginning of the post, there is no way I can cover everything in this book. In addition to what I mentioned, the book also explores social and political structures, how myths evolve from actual events, concepts of patriotism, and spiritual and psychological exploration. While this book falls into the “science fiction” category, to me it is much more and transcends the genre. I highly recommend this book to everyone. If’ you’ve read it, feel free to share your thoughts below. In this episode, Odysseus is taken by the Phaeacians back to Ithaca. He is asleep when they arrive and is dropped off on the shore along with his treasure. When he wakes, he thinks he was tricked and dropped off somewhere else, since he does not recognize Ithaca because of the mists. 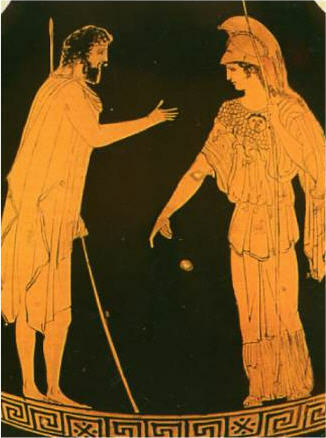 Athena then appears to Odysseus in disguise, and Odysseus attempts to hide his identity from her. Athena then reveals herself and informs Odysseus that he is in Ithaca. For me, the key section in this section is what Athena says as she reveals herself to Odysseus. might bow to you in ways of dissimulation. or stop your spellbinding for an instant? You play a part as if it were your own tough skin. you are the best in plots and story telling. the Phaiakians befriend you, to a man? Here we have Athena acknowledging Odysseus as the Trickster. But there is something even deeper going on here. First off, she points out that “even a god might bow to you in ways of dissimulation.” I see a double meaning in this line. On one hand, Athena is saying that the gods would bow to him as a sign of acknowledgment and respect for his skill in the art of deception. But bow could also mean bend. If that is the case, then Athena is stating that Odysseus as the Trickster is so powerful that he has the ability to actually deceive the gods. The fact that Odysseus can bend the will of a god by sheer guile and will is an awesome power. Next, we have the correlation between Athena and Odysseus in the area of trickery. She states that she is also famed among the gods for her deceptions. This made me wonder if Athena is the feminine counterpart to the masculine Trickster archetype expressed through the character of Odysseus. Essentially, Athena and Odysseus would be the anima and animus of the Trickster, if we were to consider this from a Jungian perspective. If Athena and Odysseus are truly two aspects of the Trickster archetype, then that would explain why the goddess is so steadfast in her support for Odysseus. I feel that the text supports this idea, particularly when we consider how many times Athena has disguised and concealed herself throughout the tale, just as Odysseus has done. Thanks for taking the time to read my thoughts. I will be posting on Book XIV soon.